Unplugged Moments: Travel company that aims to provide unique experience to its clients. Unplugged Moments is a Mumbai based travel company which aims to provide amazing opportunities and unexpected travel experience to its clients. Kunjal is the founder of Unplugged Moments. We got an opportunity to talk with her. Read her story as a founder of startup. Problems : Same old travel destinations suggested and there is so much more to explore and experience. Solved : As I myself travel and explore, I put to use my experiences in designing a clients travel plan, says Kunjal. 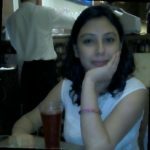 Unplugged Moments is a Mumbai based travel company which aims to offer unique experiences in travel to people from all over the world. At Unplugged Moments, we handcraft travels to destinations all over the world. Our major goal is to provide off-beat experiences and hand-crafted trips. Let me introduce myself first, my name is Kunjal and I am the founder of a travel start-up company called Unplugged Moments based in Mumbai. 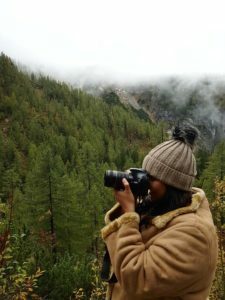 Being a traveler, travel blogger and photographer myself, I finally decided to venture out in this industry with my travel experiences. Solved : As I myself travel and explore, I put to use my experiences in designing a clients travel plan. I worked as a journalist for 10 years with print and magazines both. My last job was Features Editor with a reputed b2b Diamond magazine. Mumbai. Place realy doesn’t matter much as often everything is virtualy connected. But there is much awarness about experiential travel in cities than elsewhere. Whenever my clients are off to their trips, managing and coordinating to make sure they have a beautiful trip. There are many young startups and companies trying to create presence in experiential travels. The only thing which is my USP is my personal touch and personal experiences. Its difficult at the moment,as starting from scratch in an unknown territory needs lot of hardwork , failures and sleepless nights. No. I plan to self fund. That Unplugged Moments is just another travel company with same old destinations. Reality is, it is not at all the same, you need to give us a chance to explore. That hard work is paying off when I can see the happiness on my clients face when they are back from their travels. Most importantly, who wouldn’t love Passion turned into Business. Also its exciting to see people are so much interested to explore new destinations and experiences. I am not at all a morning person. Late mornings goes untill late nights. Wake up late, and work starts as soon as I held my mobile in hand. Half an hour walk and straight to breakfast. Post breakfast till evening ,date with my laptop and planning travels. Around 8 pm, dinner time and time to relax before time to hit the bed. I am the whole and sole when it comes to everything except accounting which is handled by my CA husband.